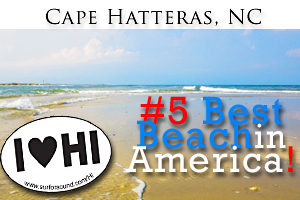 Once again, Cape Hatteras has been declared one of THE BEST beaches in the country by famous Dr. Beach! 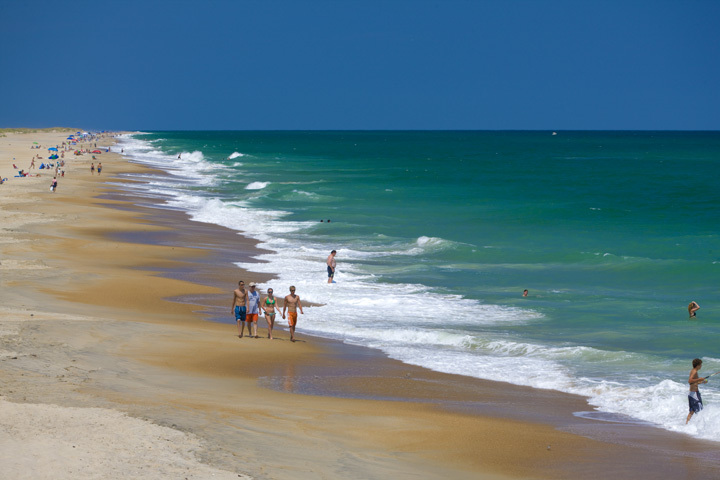 Each year Dr. Beach travels the nation’s coastlines, searching for beaches that meet his strict criteria for “best beach.” The 2011 list has just been released and Cape Hatteras came in at an impressive #5! Those of us that live and vacation here think it is #1! Those are just a few reasons so many people choose Cape Hatteras as their vacation destination. It is the perfect place to relax with your toes in the sand OR participate in an adventure on the water. There is no other place in the country like Hatteras Island. It truly is a unique area with gorgeous, clean beaches, breathtaking scenery and bountiful history. Every day is like a vacation and all of us here at Surf or Sound Realty are proud to work on one of THE BEST beaches in the country and happy to share it with our vacation guests who love it, too! 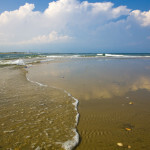 Many know Hatteras Island best for it’s beautiful beaches and relaxing environment. 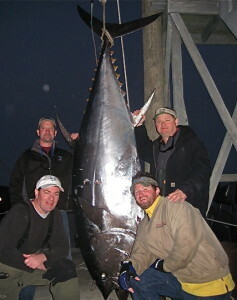 Another thing Hatteras Island is known for is its rich history. BBC World News recently did a story on the British cemetery on Ocracoke Island. Not familiar with it? Check out the short video below, explaining the history of the cemetery. The next time you take a trip to Ocracoke Island, make sure you add this attraction to your list of places to visit! 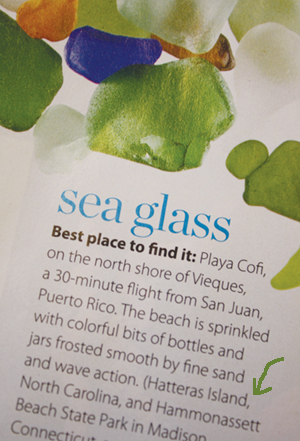 In their March 2011 issue, Coastal Living Magazine named Hatteras Island as one of the three best places to find sea glass in the world. Next to San Juan, Puerto Rico and Hammonassett Beach State Park in Connecticut, the beaches of Hatteras Island are a top pick due to the abundance of ship wrecks just off the coast. You can discover broken bottles, jars and dishware washed ashore just after high tide. Enjoy a day of beachcombing on your next Hatteras Island vacation or stop in the local art and jewelry shops on the island and discover a colorful array of local sea glass fashioned into jewelry, home décor and anything you can imagine. Stop in the SeaWorthy Gallery in Hatteras village to shop for a sea glass memento or visit Indian Town Gallery in Frisco village, which offer sea glass wrapping jewelry workshops throughout the summer. 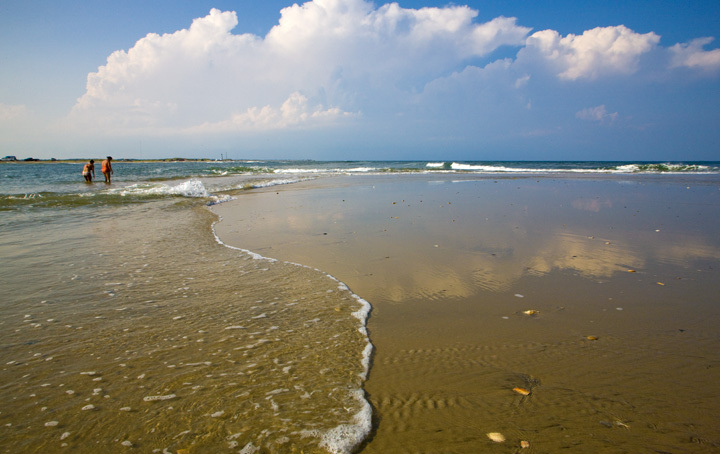 On your next Outer Banks vacation, discover why beachcombing is the best on Hatteras Island! Scott Dawson, a Hatteras Island native and historian, will present the 2010 Lost Colony expedition findings on February 25th, 2011 at the Avon Firehouse (40159 Harbor Road) at 6 p.m. The fate of the Lost Colony is considered the oldest American unsolved mystery. Dawson believes that the colony traveled from Roanoke Island to Hatteras Island in 1587. Dawson solicited archaeological expertise from the University of Bristol in England. The university sent a team in November of 2010 to research an area in Buxton that Dawson believed was a site of an Indian village. The team found a mix of Native American and English artifacts dating back as far as the 17th century. The archaeologists have not yet published their findings or determined whether any of the artifacts are connected to the Lost Colony. The archaeological team will continue their research in March and April of 2011 in Buxton and Frisco. The presentation will include a slideshow of pictures from the research and Dawson will reveal several discovered artifacts. The event, hosted by the Kinnakeet Civic Association, is free and open to the public. A potluck dinner will precede the presentation. For more information please see the article published in Virginia Pilot by Erin James entitled “Hatteras historian to present Lost Colony findings“. The remnants of a previously unknown shipwreck were uncovered last week on an isolated soundside beach of Hatteras Island. According to an article from The Virginia Pilot, the vessel’s age and origin will have to wait for historians and scientists to be analyzed. To read more about this exciting discovery click here. For more information on Outer Banks shipwrecks, ghost stories, Cape Hatteras light keepers, and innovators of this stretch of North Carolina coastline visit the Graveyard of the Atlantic Museum in Hatteras where you will find maritime history and folklore. With hundreds of shipwrecks off of Buxton’s treacherous Diamond Shoals, the museum explores these dangerous waters, and recounts the tales of the heroes who thrived along North Carolina’s Outer Banks. Crossing the Bonner Bridge is the unofficial start to many Hatteras Island vacations. In the summer months, an estimated 11,000 cars cross the Bonner Bridge every day and nearly 2 million cars cross it every year. As the only bridge connecting the northern Outer Banks to Hatteras Island, the 47 year old bridge will be replaced to ensure the continued safety of all travelers. On December 20th, 2010 the Federal Highway Administration issued an official decision to begin work on replacing the 47-year-old Bonner Bridge. The plan is to build the new bridge parallel with the current span, through the Pea Island National Wildlife Refuge. It is estimated that construction will start in early 2012 and the new bridge could be open to traffic in 2015. Forbes.com recently highlighted the beautiful islands here in the United States that are just a road trip away to paradise. Hatteras Island, part of the beautiful Outer Banks, was featured as an island paradise with affordable beach vacation homes, beautiful pet-friendly beaches and natural seascapes. Crossing the Bonner Bridge is such a memorable part of the vacation road trip to Hatters Island, and somewhat marks the official start to your island vacation! Built in 1963, the bridge has far surpassed its 30-year life expectancy and needs to be replaced as soon as possible to ensure safety and continued access to Hatteras Island. The NC Department of Transportation’s Preferred Alternative plan calls for immediate replacement of the Bonner Bridge. Two public hearings on the Herbert C. Bonner Bridge will be held in Dare County July 6th and 8th to accept public comments on the Environmental Assessment by the North Carolina Department of Transportation (NCDOT) outlining this Preferred Alternative plan. Make your voices heard! In addition to these public hearings, on-line and written comments will be accepted until Aug. 9, 2010. Make comments directly to NCDOT at http://www.replacethebridgenow.com/pub_comment_form.php. The new Preferred Alternative calling for immediate replacement is supported by Dare County, the Federal Highway Administration, the Environmental Protection Agency along with Congressmen Walter Jones, G.K. Butterfield, Howard Coble, and Senators Richard Burr and Kay Hagan. NC Senate President Pro Tempore Marc Basnight also supports Bonner Bridge replacement and has twice pleaded with President Obama for assistance. The first public hearing is Tuesday, July 6 at 7:00pm in Manteo at the Dare County Commissioners meeting room on 954 Marshall C. Collins Drive. The second hearing is Thursday, July 8 in Buxton at the Cape Hatteras Elementary School cafeteria on 47500 Middle Ridge Trail. Click here for more information about the hearings. For more information and details, visit www.replacethebridgeNOW.com.